Santa Pola has developed from being a traditional fishing town to become a top tourist destination without losing any of its charm. It is a few kilometres south of Alicante and within very easy access of the N332 and AP7 main roads. Its proximity to the airport and temperate climate has turned it into a popular holiday spot throughout the year. You can also catch the boat to Tabarca island from Santa Pola. Santa Pola is a popular stopping point for water sport enthusiasts, particularly windsurfing, kayaking, stand up paddle or paddle surfing, sailing and kite surfing. Its geographical location and winds across the bay make it a top spot for windsurfing in particular. The Gran Playa and Playa Lisa are two favourite beaches for surfers. 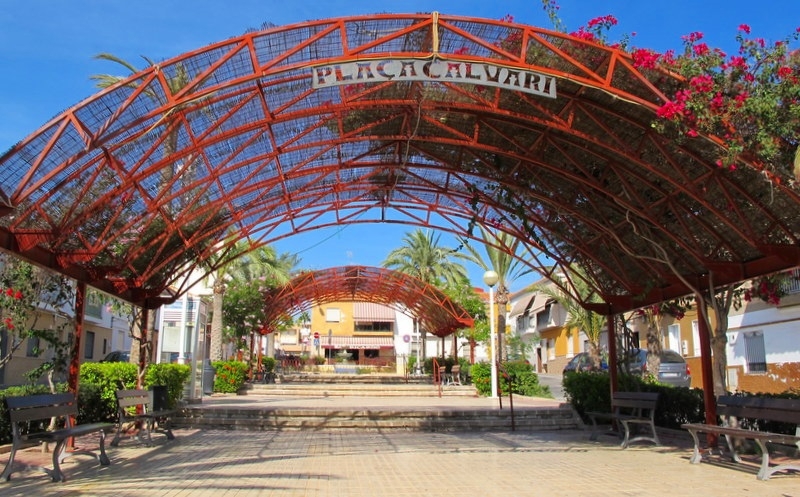 Apart from the beach and water sports, Santa Pola has several interesting historic buildings and parks. To the south of the town are the vast Santa Pola salinas or salt flats, which are teeming with interesting flora, fauna and wildlife. More than 3,000 flamingoes and other birds flock here. Food lovers visit Santa Pola for the quality of the restaurants with many chefs specialising in local cuisine such as crayfish, red prawns, paellas, fish stews, home-made ice-creams and sweet pastries. You can watch the fish being landed and auctioned at the port every afternoon. If you see fish bearing the stamp Peix de Santa Pola, it is a sign of a quality fish. The Plaza de la Glorieta is a pleasant spot to stop for tapas and drinks while the Plaza del Calvario offers impressive views over the town. 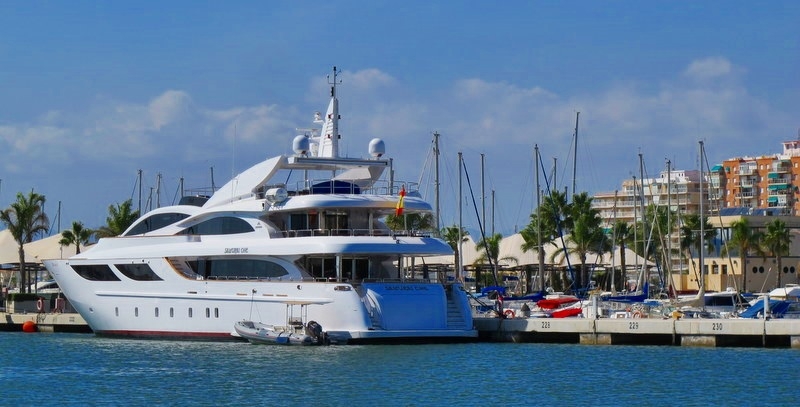 This traces Santa Pola's seafaring and maritime history. Visitors are taken back to the Iberian age and can visit a reproduction of a cave dwelling from the era with the hunting and fishing tools used at that time. An interesting and unusual museum which is housed in a former salt factory. You can learn how salt is extracted and its importance in preserving foods. The salt flats provide a haven for many ducks, teals, gulls and flamingoes, among others. The museum has a lookout for bird watchers and offers a guided tour to the Salt Flats Nature Reserve. This is a new museum dedicated to showcasing the life and times of Santa Pola fishermen through the ages. The castle has been the scene of most of Santa Pola's finest hours throughout history including the expulsion of the Moors and the visit of King Alfonso XII. It is still a popular meeting place. Santa Pola fishermen have donated many of the exhibits. It is the oldest aquarium in the Valencia region and has nine large glass tanks showing Mediterranean flora and fauna. This luxury Roman villa belonged to a wealthy businessman and his family who traded in the town. It was built in the fourth century and you can still see geometric mosaics and murals which were used to decorate the rooms. Santa Pola port dates from the fourth century BC and is still one of the most important Spanish ports in the Mediterranean. Salt is still exported from here and there is a small shipbuilding industry. However, fishing is the main activity where the fishermen bring home their daily catch before it is auctioned to the restaurants and shops. Santa Pola has set out several vantage points where you can take beautiful pictures, watch incredible sunsets, see beautiful sunrises or just admire the landscape and environment. There are several vantage points in Santa Pola for enjoying fine views or taking photographs. Close to Santa Pola lighthouse is the old Atalayola watchtower with panoramic views of the coast, from the "Cabo las Huertas" to the "Isla Grossa", facing the Mar Menor.. Viewing posts have also been set up on Avda del Mediterranea and Avda de Escandinavia where you can stop to admire the view. On the Alicante-Cartagena road, next to the Torre Tamarit tower, is an area set aside for admiring the view. Sunset is a good time to visit as you can see beautiful, colourful sunsets decorated with the silhouettes of hundreds of birds, such as flamingoes. Don't forget your camera! This is dramatic landscape to the east of Santa Pola with the mountains rising 144 metres above sea level. It is one of the few examples of fossil reefs on the Mediterranean coast and also has interesting flora and fauna. Pine groves, blackthorn, wild olives and sea grapes grow on this spectacular terrain. Many varieties of wild thyme are found on the higher ground. Birds, hares, rabbits and foxes have also set up home here. This is a fascinating nature reserve with fresh-water pools, salt lakes, beaches and dunes. As many as 3,500 flamingoes have made a permanent home here as have many ducks and storks. As well as attracting walkers and birdwatchers, it has also found favour with photographers and artists for the impressive landscape particularly at sunrise or sunset. Visitors can take two routes through the protected nature reserve. The first is two kilometres long and takes just over an hour. The other is three kilometres long and takes 90 minutes. Santa Pola is an amazing area of natural beauty with the salt lakes on either side of the N332 road. Look out for flamingos - especially pink ones - on the lakes. Try local fish and shellfish from Santa Pola, it's great quality and the variety is amazing. Santa Pola is a great destination for exploring nearby towns such as Guardamar, Alicante and Torrevieja. 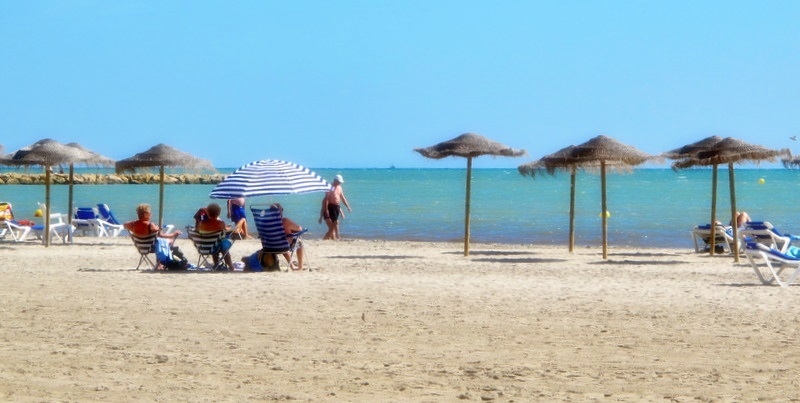 You're spoilt for choice of beaches and golf courses near Santa Pola.